Lots of Conservative senators voiced their opposition. 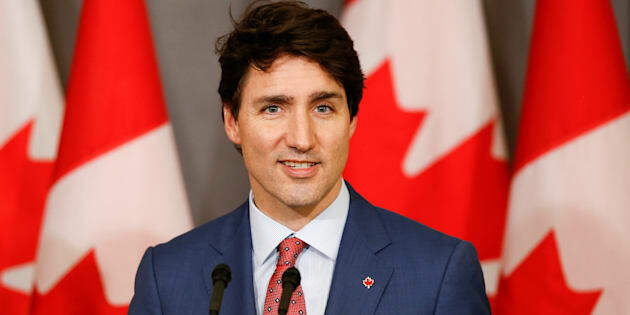 Canada's Prime Minister Justin Trudeau attends a news conference at Canada's Embassy in London, U.K. on April 19, 2018. OTTAWA — The Senate has approved the Trudeau government's landmark legislation to lift Canada's 95-year-old prohibition on recreational cannabis — but with nearly four dozen amendments that the government may not entirely accept. Minister of Health Ginette Petitpas Taylor rises during Question Period in the House of Commons on Parliament Hill on March 1, 2018. Conservative Sen. Dennis Patterson, who represents Nunavut, said "easy availability of this mind-numbing drug'' will be devastating in remote areas where vulnerable Indigenous populations are already ravaged by addiction, mental health problems, violence and suicides. "I believe, and I do fervently hope I'm wrong, that we will pay an intolerable price that we will regret,'' Patterson said. But other senators argued that almost a century of criminalization has done nothing to stop Canadians, particularly young people, from using marijuana illegally and, thereby, creating a lucrative black market dominated by organized crime. Independent Sen. Andre Pratte said C-45 takes a pragmatic approach to regulating cannabis that is preferably to continuing the failed war on drugs. "Do we take a deep breath, close our eyes and stick with a demonstrably failed, hypocritical, unhealthy, prohibitionist approach of the past or do we move forward, eyes wide open, and choose the alternative? ... I choose to open my eyes, rather than put on blinders,'' he said.